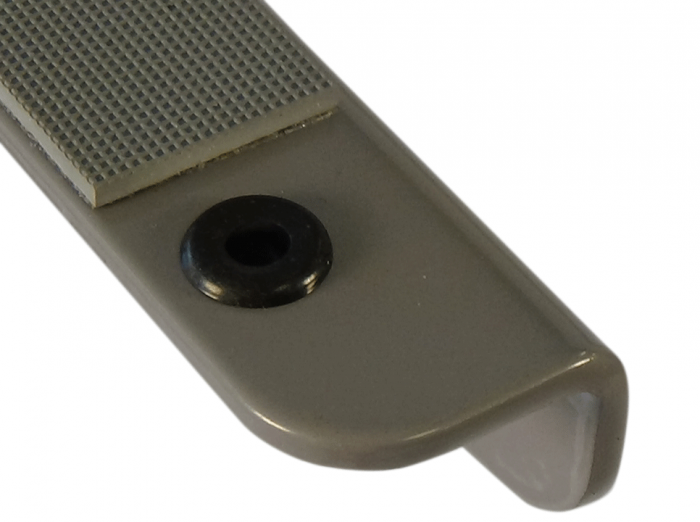 The New and Improved S2S-111 Base + Your Top = Affordable & Green Ergonomics! 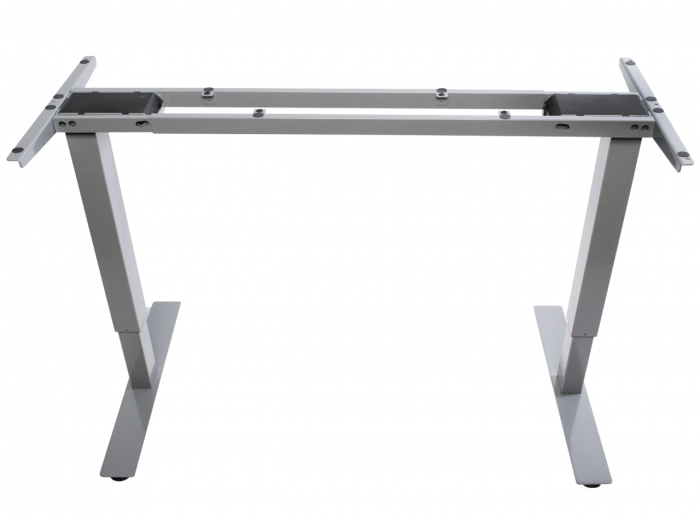 The S2S Electric Height & Width Adjustable Standing Desk Base offers an Extraordinary Low Cost with Top Quality Ergonomic Functionality! The all new S2S Desk line is incredibly priced for its outstanding commercial quality, so it can be procured by individuals for home offices as well as small to large corporations. Do not let the affordable price fool you, the quality of the desk is phenomenal. This unique offering not only saves the environment (reusing an existing top) it wallet friendly. The base is width adjustable so if the space needs change (i.e. utilizing the desk from an office space to a home office) the only new item to procure would be the top which is far less expensive than purchasing an entire new desk. The desk has tremendous height adjustment which makes the desk ideal for the petite to the very tall! The 2-Segment S2S Electric Height (27”-46.5”) & Width (35.5”-74”) Adjustable Desk Base (S2S-111) is a truly spectacular sit–to-stand desk. The under-top support beam is width adjustable; its telescoping frame gives you the freedom to change tabletop sizes without having to buy a new base! There’s no crossbeam to interfere with knee clearance or gear and expands from 45” to 74”. Only one base size to be considered with the use of multiple sized tops 80+ inches wide. This is a very affordable component since most desks lines require the purchase of entire new desk if the space needs change. The S2S Height & Width Adjustable Desk Base is equipped with 2 durable legs (offered in charcoal gray or black) are powder coated which aid with scratch resistance. With its dual electric motor (each leg is motorized), this 3-stage system allows the desk to silently rise from a mere height of 23” to 50”. The desk offers a 353 lbs. lifting capacity (tested at 400lbs). Lastly, the desk is equipped with a standard up/down controller. There is a 4-position preset with digital LED height readout (quick touch presets - no need to hold the buttons down as with other desk lines). The 3-Segment S2S Electric Height (24”-49”) & Width (35.5”-74”) Adjustable Desk Base (S2S-111-3) is a truly spectacular sit–to-stand desk. The under-top support beam is width adjustable; its telescoping frame gives you the freedom to change tabletop sizes without having to buy a new base! There’s no crossbeam to interfere with knee clearance or gear and expands from 45” to 74”. Only one base size to be considered with the use of multiple sized tops 80+ inches wide. This is a very affordable component since most desks lines require the purchase of entire new desk if the space needs change. 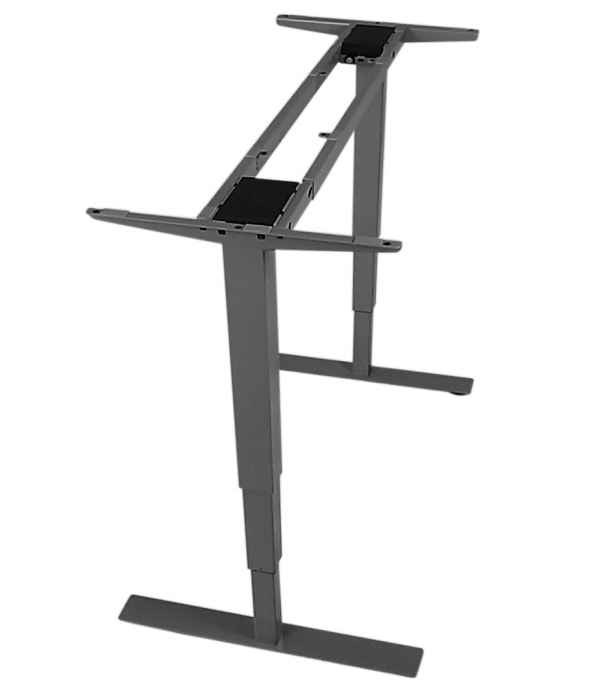 The S2S Height & Width Adjustable Desk Base is equipped with 2 durable legs (offered in charcoal gray or black) are powder coated which aid with scratch resistance. 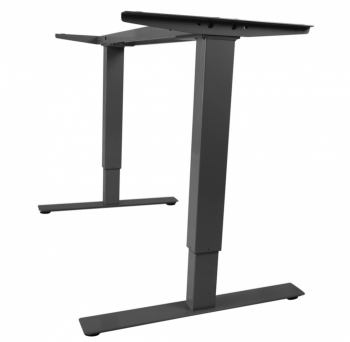 With its dual electric motor (each leg is motorized), this 3-stage system allows the desk to silently rise from a mere height of 24” to 49”. The desk offers a 353 lbs. lifting capacity (tested at 400lbs). Lastly, the desk is equipped with a standard up/down controller. 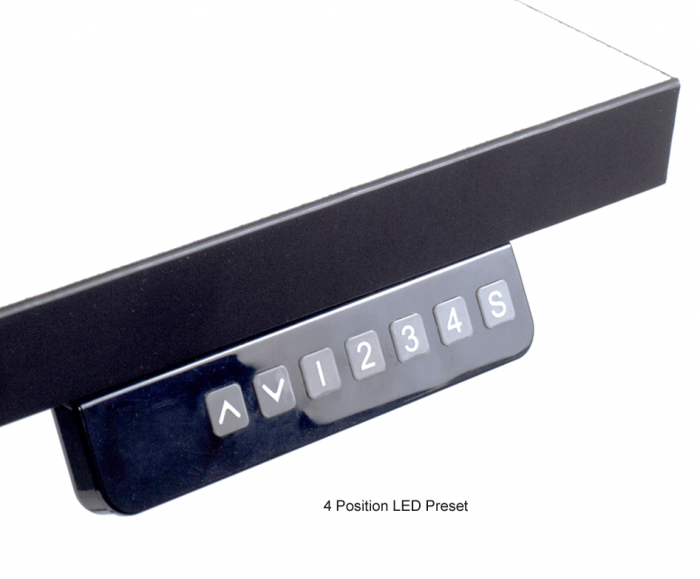 There is a 4-position preset with digital LED height readout (quick touch presets - no need to hold the buttons down as with other desk lines). Adjustable width telescoping frame that accommodates table tops from 35.5" to 80 plus." 353 lbs. lift capacity - our desk base has been tested with various weights and this is where we set the max lift capacity. Our desk works with 385 lbs. Minimum suggested top size: 24" D x 45"
Maximum suggest top size: 34" D x 84"
S2S Desks warrants to the original purchaser that the products it manufactures are free from defects in material, design and workmanship. 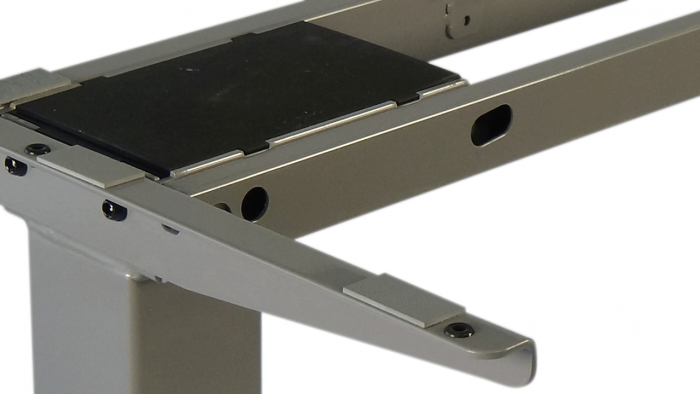 With prompt written notice, S2S Desks will repair or replace, free of charge, any product, part or component which fails under normal use as a result of such defect.